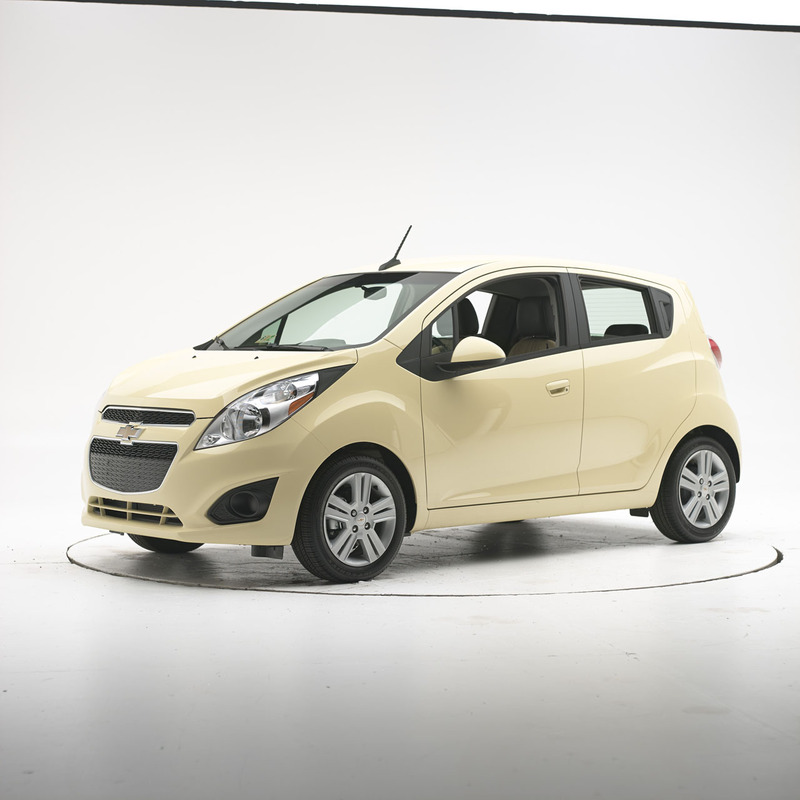 for small city cars to pass, with only the Chevrolet Spark taking home an "Acceptable" overall rating out of the 11 cars tested, earning it a nod for Top Safety Pick. 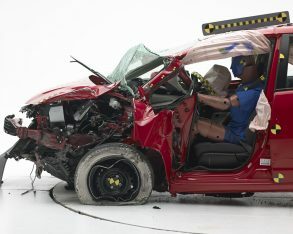 Honda’s Fit fared worst of all, scoring "Poor" ratings for structure, hip/thigh injury measures, and lower leg/foot injury measures, which garnered it a "Poor" overall rating. 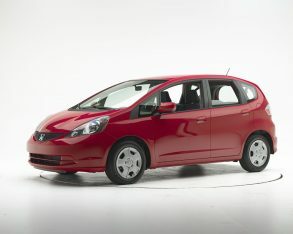 As a result, Consumer reports removed the Fit from its list of recommended cars. 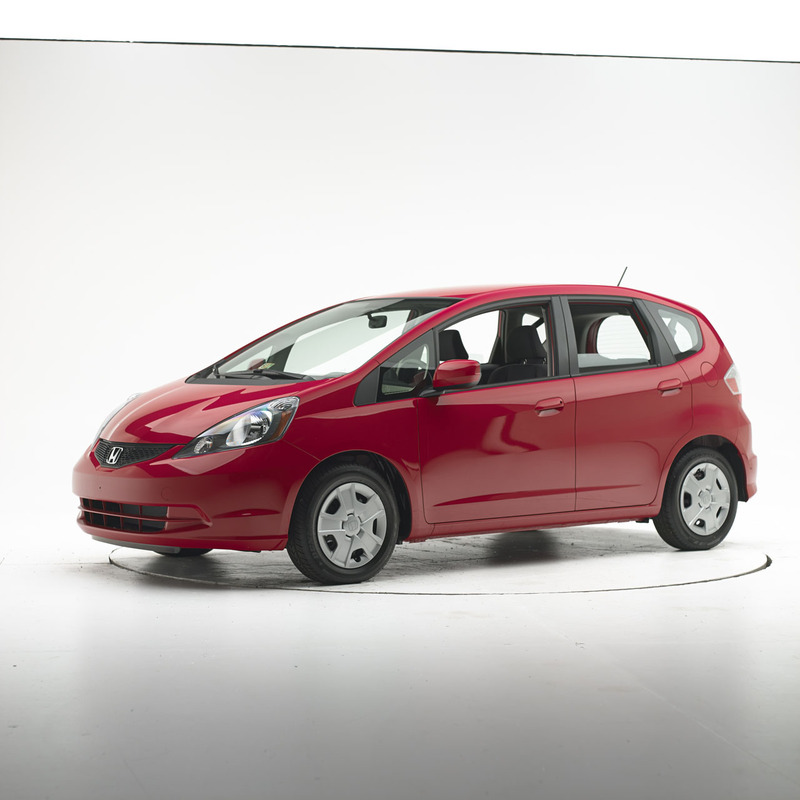 The silver lining for Honda is that a new generation 2015 Fit just debuted in Detroit and is due out later this year, and because it was engineered with the new test in mind it is expected to perform much better than the outgoing model. 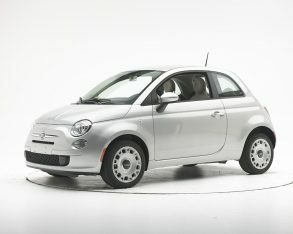 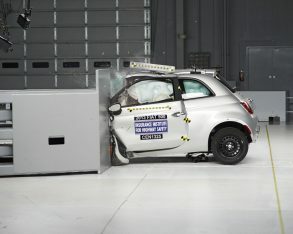 Owners and potential buyers of small cars can also take heart from the fact that all of the cars tested, including the Fit, got "Good" or "Acceptable" scores in the critical head/neck and chest injury measures, and eight of the 11 cars also scored "Good" for hip/thigh injury measures, with only the Fit scoring "Poor" (the Fiat 500 and Hyundai Accent both got "Marginal" scores in this department, landing them in the bottom three). 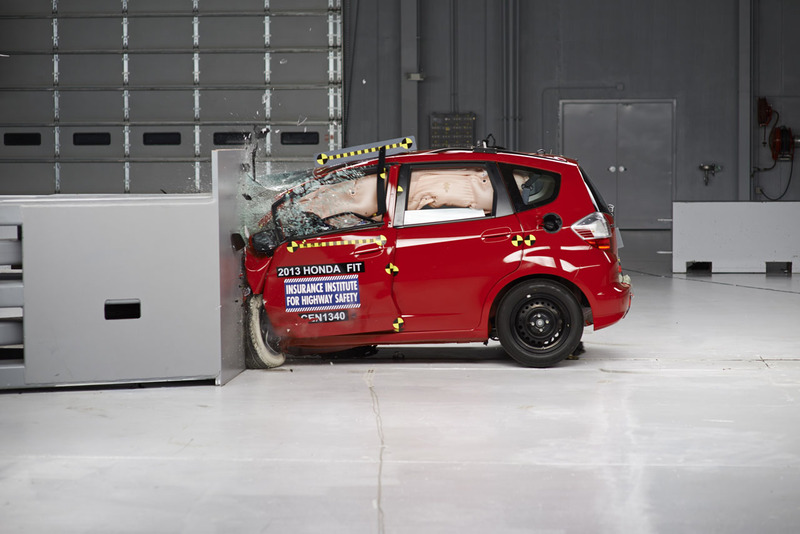 the test really challenged the subcompact fleet was in lower leg/foot injury measures, because limited space and structure meant that the driver’s side front wheel often got pushed back and partially crushed the footwell. 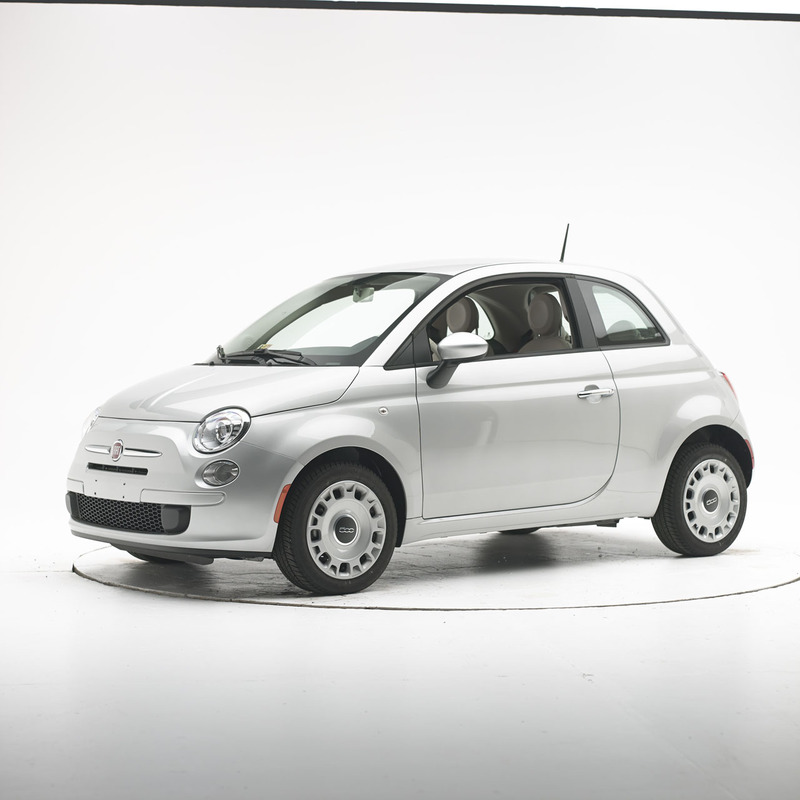 This meant that even the best performers ended up with "Marginal" scores for structure. 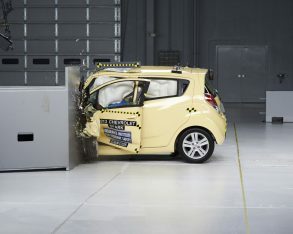 Still, despite its structural deformation the Spark received a "Good" score for lower leg/foot injury measures, with the Ford Fiesta managing an "Acceptable" rating in this measure (for cars built after August 2013) and the Toyota Yaris getting a "Marginal" pass. 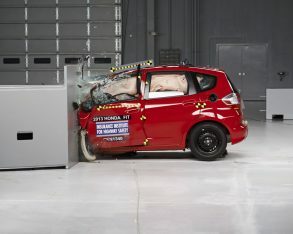 The Yaris stayed ahead of the Fiesta overall because the Fiesta was the lone car in the group not to get a "Good" rating in head/neck injury measures, instead getting another "Acceptable" score. 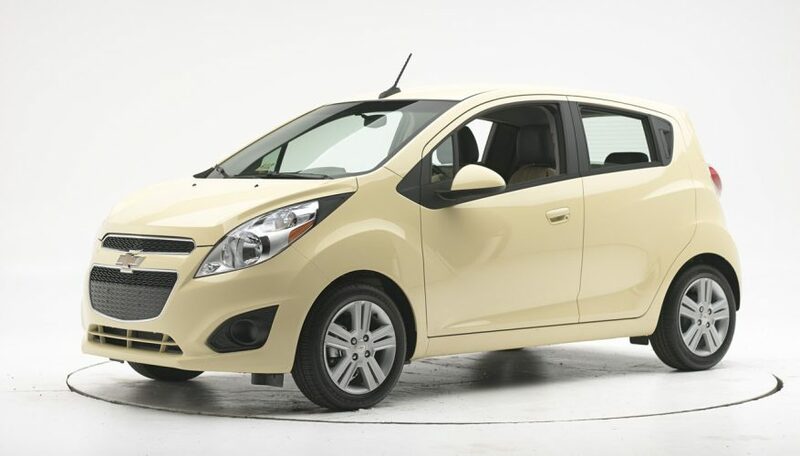 The Mazda2 and Kia Rio ended up in second and third overall despite their poor showing for leg/foot injury measures, thanks to their somewhat better performance in controlling occupant movement during the test. 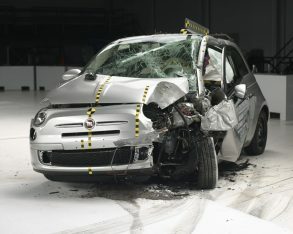 The small overlap test was introduced in 2012 to replicate what happens when the front corner of a vehicle collides with another vehicle or an object such as a tree or utility pole. 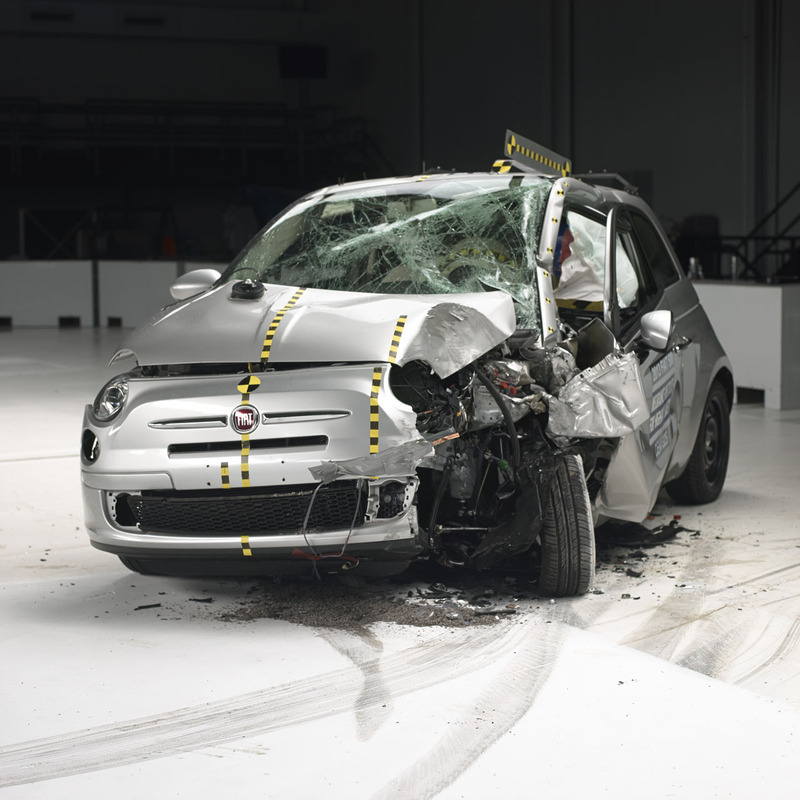 In the test, 25 percent of a vehicle’s front end on the driver’s side strikes a rigid barrier at 40 mph (64 km/h). 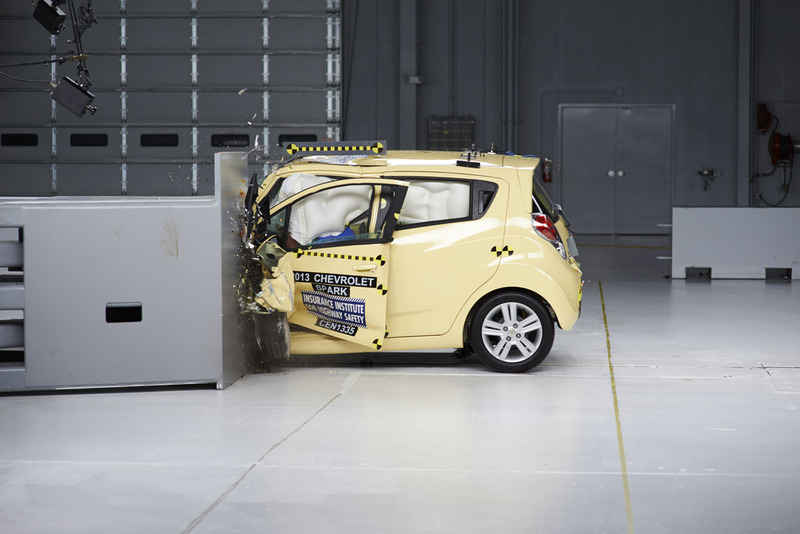 "Unfortunately, as a group, minicars aren’t performing as well as other vehicle categories in the small overlap crash," said Joe Nolan, IIHS senior vice president for vehicle research. 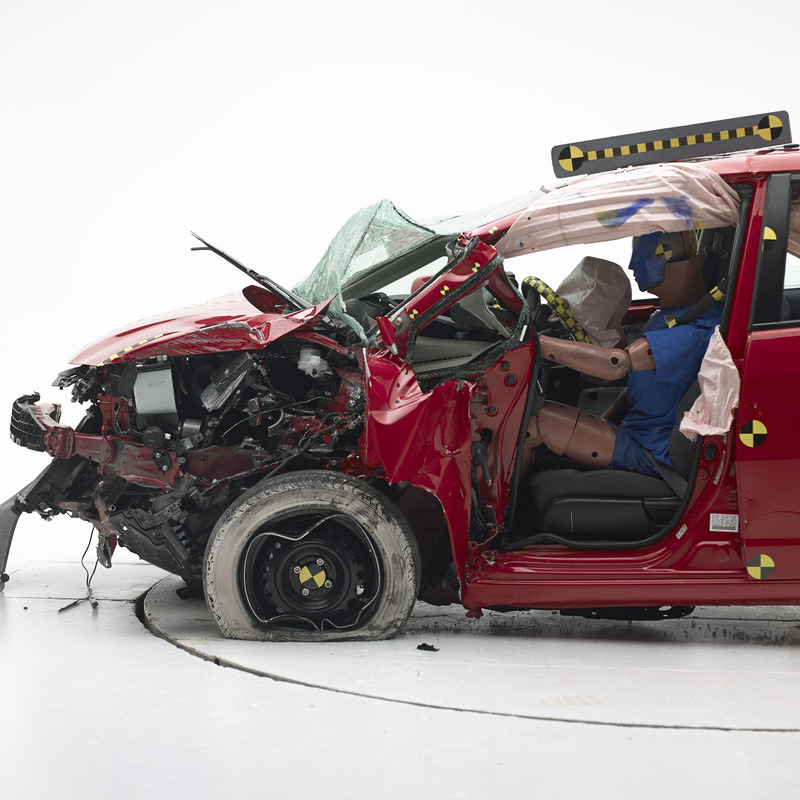 The test is tougher than the head-on crashes conducted by the government or the longstanding IIHS moderate overlap test because most of the vehicle’s front-end crush zone is bypassed. 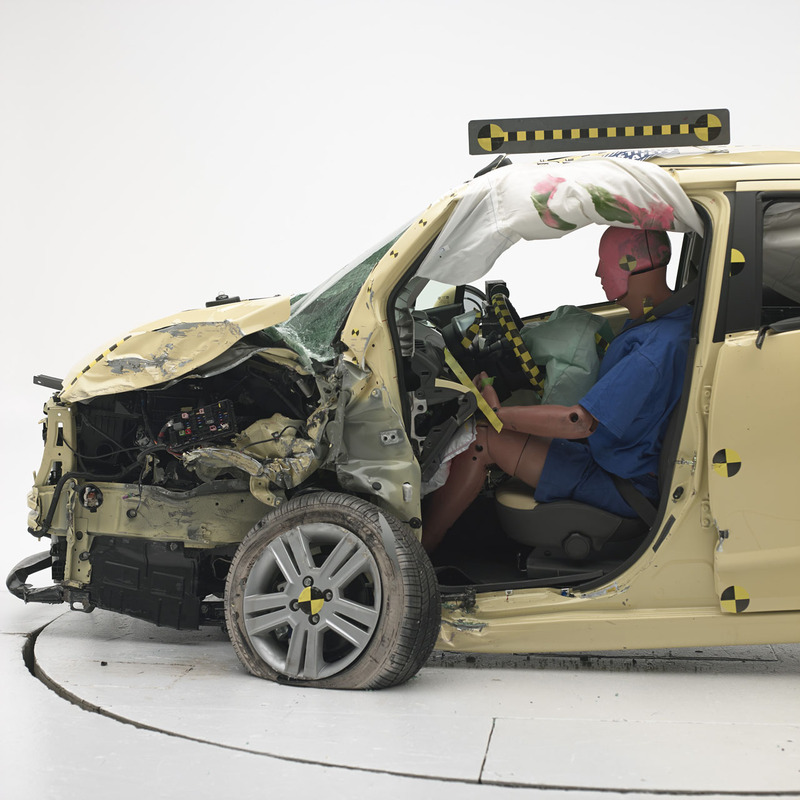 That makes it hard for the vehicle to manage crash energy, so more forces tend to be transferred onto the occupant compartment. 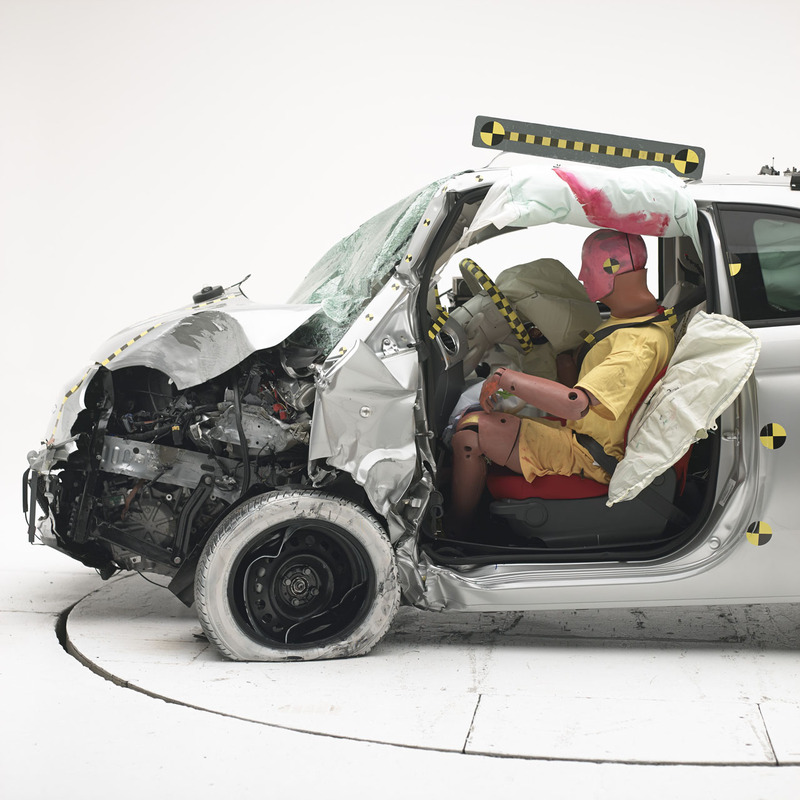 Nevertheless, in many size categories manufacturers have found ways to strengthen vehicle structures to meet this challenge, and small cars are likewise expected to improve over time. 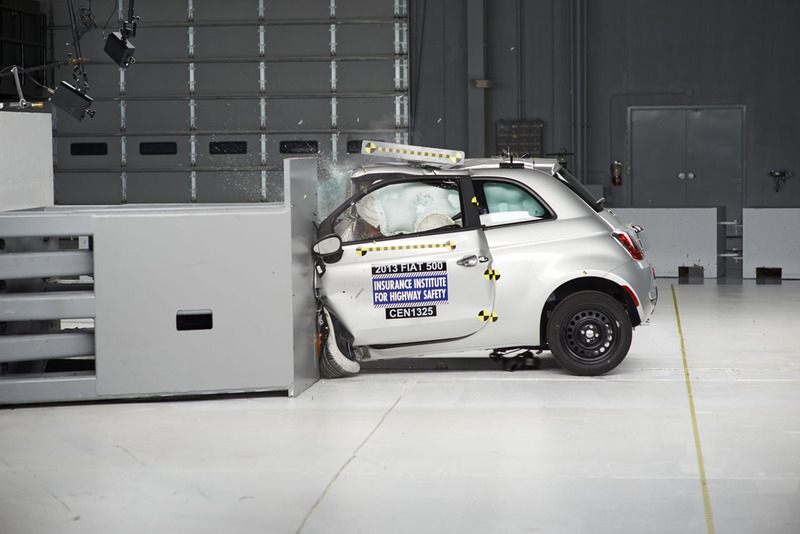 "Small, lightweight vehicles have an inherent safety disadvantage. 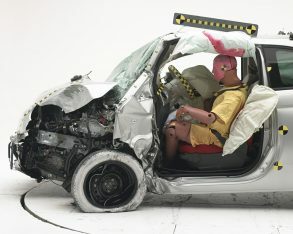 That’s why it’s even more important to choose one with the best occupant protection," concluded Nolan.